For a month, around when my baby was 7 months old, I was doing great. I was doing well with slowing shedding my weight, and at my last 10 pounds. Or so I thought. I finally pushed down to my pre-pregnancy weight and was looking forward to looking more fit when life interfered. I was hit by a triple whammy last month: baby started solids, the family got sick, and then a growth spurt. What this basically translated to is that my consistency in tracking went out the window, I was thrown off my exercise routine, and my ability to get good sleep went to the toilet. I am heavier, and struggling. I had to go back and look for answers if only to give me some sanity, mental strength and patience with myself. Why is this so hard? Contrary to what people often say, the pounds don’t just melt off because you are breastfeeding. The breastfeeding-weight loss thing is a huge myth. I knew this when I had my first and second babies! They were the reason why I had to look hard at what I eat and learn about fitness. 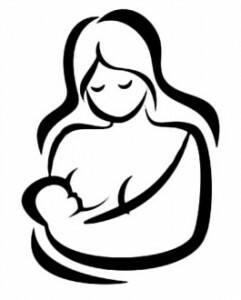 When breastfeeding, the hormone prolactin helps the body hang on to fat. I guess mother nature decided that you need that extra fat while your body is feeding another human being, just in case of famine. The best formula for losing that baby weight is to eat according to hunger (not craving), drink according to thirst and exercise with a combination of strength training to boost your metabolism and cardiovascular exercise to burn off extra calories. Plus patience. I have to track my intake in order to lose weight. I will probably have to wait until I have weaned my baby for that last 5-10 pounds to come off. I have a weakness for holiday baking -Need to stop nibbling on the cakes and cookies I bake for the kids! I still need to practice patience with myself, just as I practice patience with my children and my husband. It is something I need to practice for a lifetime.